San Diego’s newest councilman is expected to announce an equal pay ordinance this week. 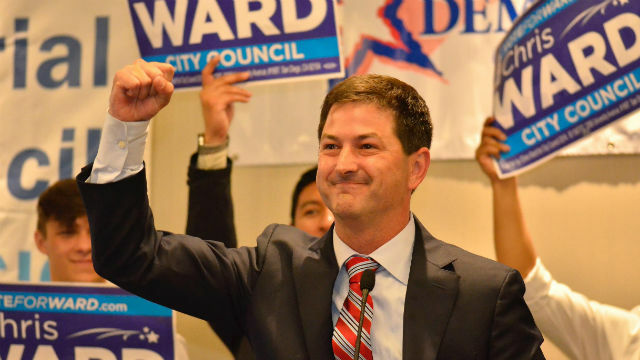 The announcement made Wednesday said Ward will be joined by state Sen. Toni Atkins, Assembylman Todd Gloria and his council colleagues Georgette Gómez and Barbara Bry. The proposed ordinance comes at a time when women earn less than men. “A woman who works full time in California makes a median salary of $42,486, compared to a median salary of $50,539 for a man, according to an analysis of Census Bureau data conducted by the National Partnership for Women and Families. That makes for a difference of about 84 cents to every dollar earned by a man or the equivalent of $8,000 per year, the average cost of six months of rent in the state,” read the press release. Ward’s office says the problem is worse for women of color. Ward represents San Diego’s third council district including communities of Downtown, Little Italy, Bankers Hill, Mission Hills, Middletown, Hillcrest, University Heights, North Park, Normal Heights, Old Town, South Park, and Golden Hill.